Balancing the Community and the Individual. 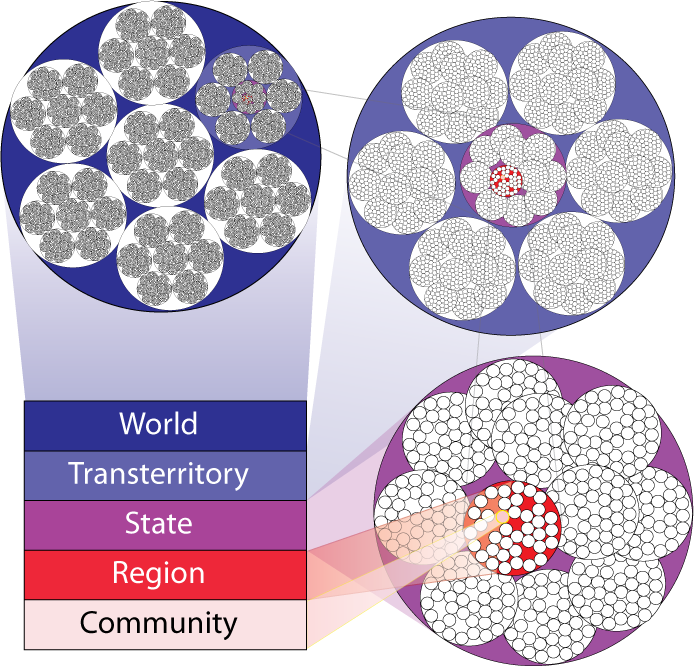 Understanding how the Standards of LIFE creates a framework for the migration of people between communities requires an initial understanding of both the multilayer structure and variable law. There is no inalienable right to migration; there never has been and simply wishing that it was so will not make it so. There is an inalienable right of every individual to seek and create a better future; pretending that this is a limited right does not make it so. At its root, migration is about the movement of people between Communities and striking a balance between the rights and responsibilities of Communities and the rights and responsibilities of individuals is the role of a migration policy. The reality is that we each live in a Community and it is to the Community that accrue the benefits and burdens of each individual domiciled there. Communities, therefore, must be the arbiters of migration; they either do or do not want migration and can or cannot manage the change in population. Much of the angst and disruption that is associated with migration is the result of two primary failures in current immigration policy. Firstly, the policy is enacted from the top down where decisions may be made at a state level but the responsibilities for accommodating the migration are left to the communities. Secondly, the modern industrialized societies are irresponsibly creating migration imperatives outside of their borders without understanding the consequences. The answers are to devolve the power and responsibility to the communities, and to stop destroying the ability of other communities around the world to sustain themselves. Each Community must decide how many places it has available for those wishing to migrate there. This number is revisable at will and must be accompanied by a plan to provide for the BASE needs of the new members. Anyone seeking to migrate must do so to a specific Community with an open place and having gained prior approval from the community for their application. Once accepted, the domicile rights of the migrant in that Community are irrevocable. In pratice, this will require the development and maintenance of a worldwide register of places available in Communities and migrants seeking those places. This is another reason why Information plays such a crucial role in enabling a brighter future for all of us and an example of the vital and critical nature of the information infrastructure as a social service. Domesticity within a Community carries with it an automatic right to work. The right to work follows the principles of variable law, such that if the right is promoted, it is applicable in all member constituencies of the layer it is promoted to. There are certain situations in which the right to domesticity within a Community accrue automatically to the individual. At a minimum those rights accrue to any child born to a domiciled parent and persist until the child reaches the age of maturity, following the parent’s domicile if they move. Most probably it should also accrue to anyone purchasing an existing housing unit within the Community, but this will be subject to the laws of the Community and may not be changed retrospectively. Crossing a layer boundary requires one of two possible statuses: a limited time travel visa (automatically granted between LIFE societies) or migrant status. Travelers who overstay their travel visa can be returned to their domicile Community. A migrant has the rights of domesticity and the right to work but the rights of citizenship, i.e. the right to vote, accrues to the migrant dependent on the rules of the Community. The passage from migrant to citizen should not be unreasonably withheld but could be quite reasonably dependent on the ongoing and continuous domesticity of an individual for at least one election cycle in that constituency. Any individual can have citizenship rights in only one Community at any time. Their rights to citizenship in the RST layers accrue to them dependant on their citizenship of a constituent Community and the laws for citizenship of each excentric layer eminating from that Community. Upon migration out of any constituency, the ongoing citizenship rights of the individual will be subject to the specific laws of each layer of that constituency.